When Toni&Guy contacted me to see if I’d like to take part in their ‘Hair Meets Wardrobe’ challenge, I didn’t have to think twice and immediately said yes! When they told me the challenge is all about inspiring you to dress from the head down, I was excited to match my hair to an outfit. After all, styled hair is the finishing touch to any outfit. 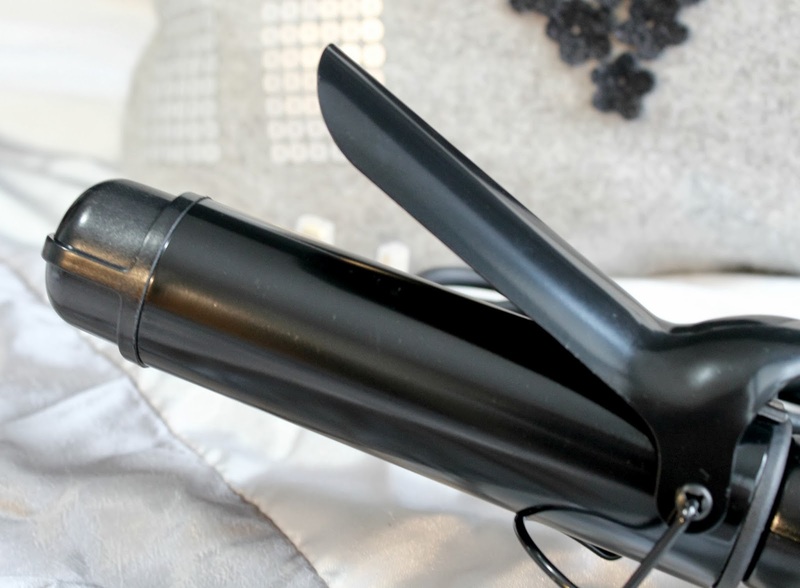 Much like jewellery and bags accessorise an outfit, so does our hair. I was told that my personal style would be matched to one of the Toni&Guy Hair Meets Wardrobe core collections which include Glamour, Casual, Classic or Creative. After being sent a fun little questionnaire, I was matched with their ‘Glamour’ collection and it couldn’t be more spot on for me as I do love to get glammed up for a night out. The hair tool included in the Glamour collection is their Jumbo Tong which is used for creating natural waves and lots of volume! I was told I’d have to style my hair with the tong and wear an outfit that matches the 'glamour' theme my style was matched to. 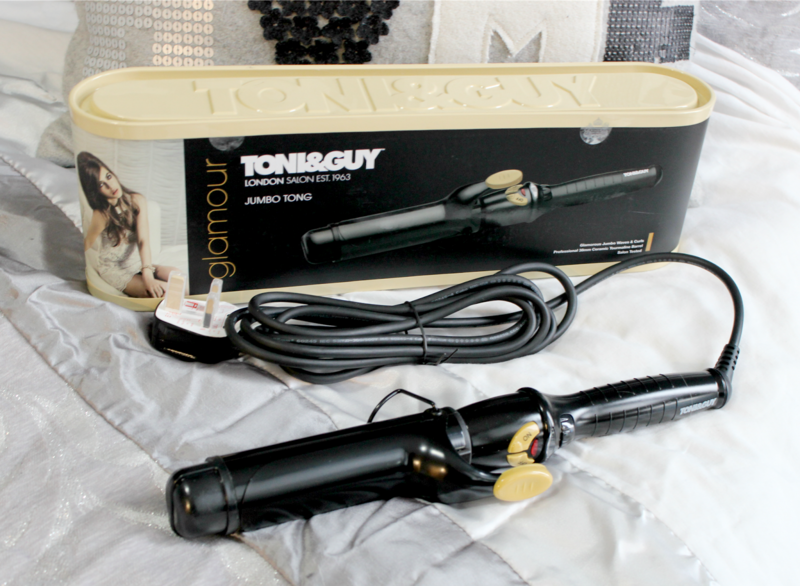 When it arrived in the post I was super excited to use it as I love curling my hair and very rarely wear it straight. I find curls more glamourous and can also create lots more volume when my hair has a nice wave. 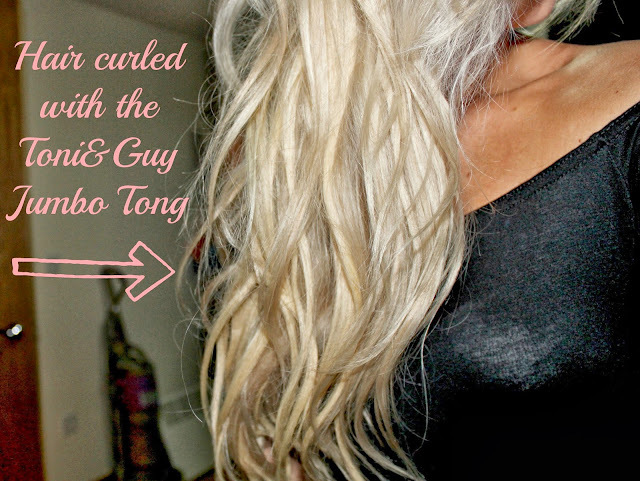 The Jumbo Tong has a large barrel that you wrap the hair around, hold for a few seconds and release. 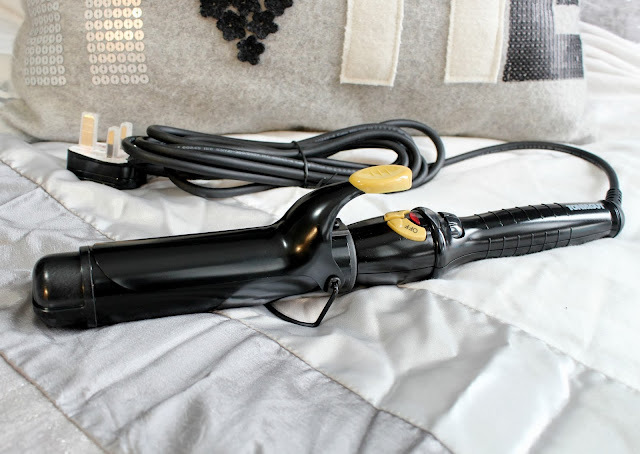 Instead of tight ringlet curls that are often achieved with curling tools, the jumbo tong allows me to create loose and natural looking curls, similar to the style achieved with heated rollers. I really like this effect as I find it gives my hair a lot of texture and movement. When it came to choosing an outfit to match the 'glamour' theme, I decided nothing says glamour better than a classic LBD. Every girl should have a little black dress in their wardrobe as its a classic and something you can't really go wrong with. If I'm ever in doubt about what to wear for a night out, I know I can turn to a little black dress and be good to go. Glamour in a flash! The one I'm wearing in the photos above is from the Missguided 'Sweet Deal' range and cost a very purse friendly £6.99. I bought it after buying the tie-dye version to wear at t in the park and falling in love with it. I absolutely love the bardot style and find the off the shoulder and skater style exceptionally flattering. I paired it with a little gold belt which cost £2.50 for Primark and I believe the heels are from Primark too. All in all, a very cheap but glamorous outfit. I really like the overall look and think that the wavy and volumous hair works really well with the LBD. I'll definitely create this look again as I love the effect it gave my hair! 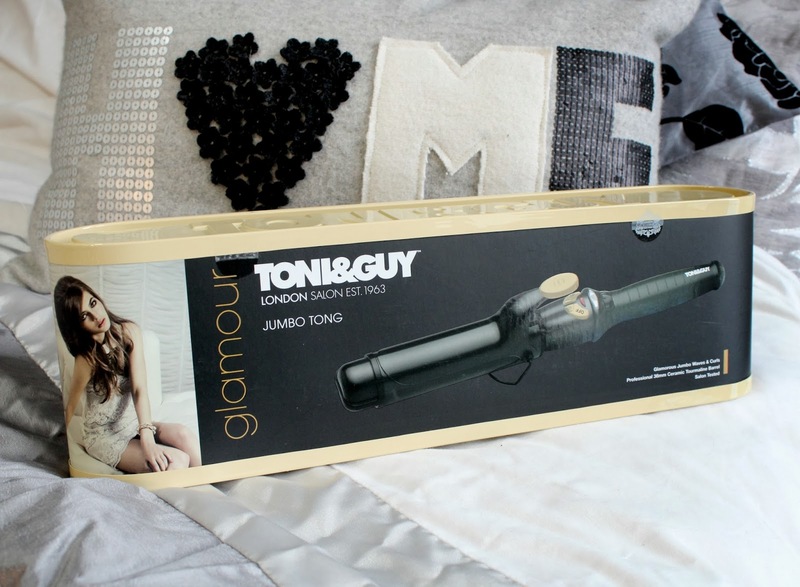 If you think you'd like to create this style, you can buy the Jumbo Tong here for a very affordable £19.99. What do you think of my Hair Meets Wardrobe look? Do you match your hair to your outfit? You look stunning. 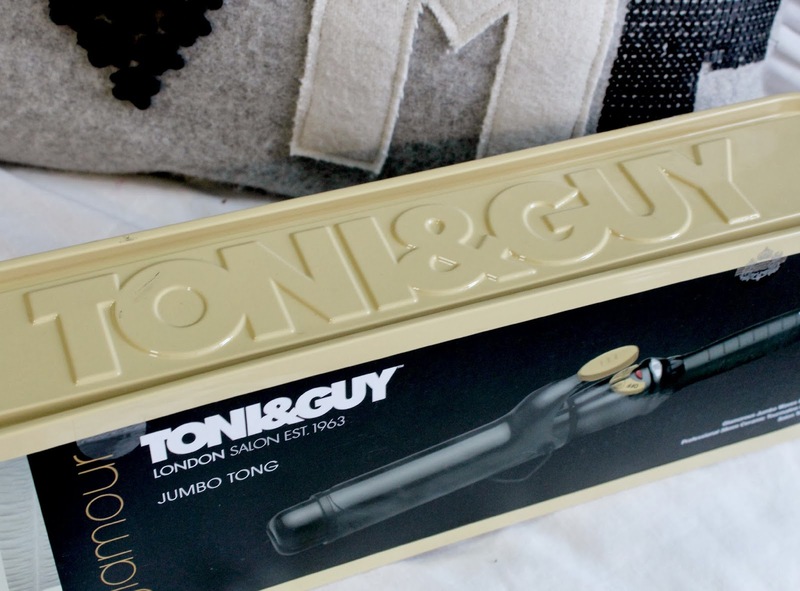 I saw this tong on a website but it had bad reviews, seeing your hair I definitely want it! It looks amazing, you look so pretty as always! :) Cute outfit! You look stunning!! Love the look! Love the look, the black dress looks amazing on you as always, you look stunning! Your hair is amazing - I WANT IT! Looks so pretty with your hair - mine is to frizzy though I don't think it would make a difference! This is exactly what I am looking for, I thought it would be more expensive than £20. The dress looks unbelievable on you! Wow looks amazing lovely! Such gorgeous loose waves that look effortless. Your hair looks great and I love your outfit!